The song of the summer has officially arrived, and it’s by Bravo’s resident hit-makers, Luann de Lesseps and DJ James Kennedy! Move over Kim, another Real Housewife has a dance track. Countess LuAnn de Lesseps’ first single is out. 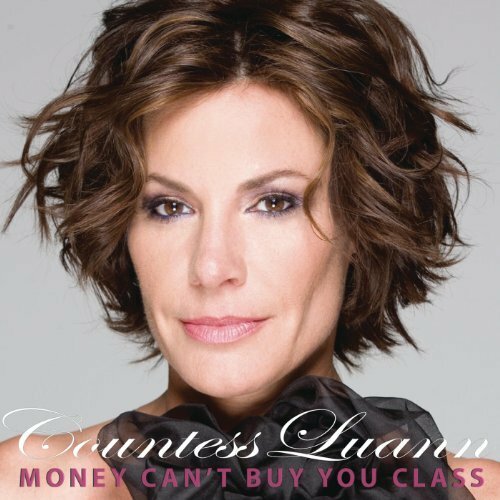 ‘Money Can’t Buy You Class’ is brimming with electronic vocal correction and breathlessly rapped lyrics such as "you don’t have to be rich or famous to be unforgettable haha" that draw from the countess’ own life. Her husky voice matched with catchy lyrics made her a viral musical sensation. Countess Luann de Lesseps has gifted the world with "Girl Code (Don't Be So Uncool)," her third single and first with daughter Victoria de Lesseps. And what a gift it is. "Girl Code (Don't Be So Uncool)" joins the legendary "Tardy for the Party," "On Display" and Luann's own "Money Can't Buy You Class" as singles from stars of Bravo's Real Housewives franchise.